C.15779 - Fall in love with this fabulous Huntington Lakes end unit condo. It has 3 Bedrooms, 2 baths with a detached 1 car garage. 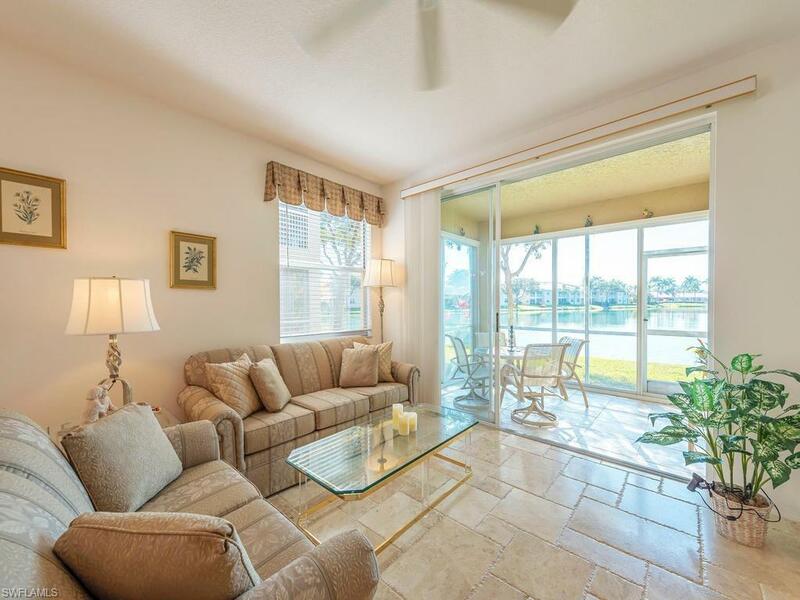 This 1st floor, Condo has a spectacular lake and fountain view. 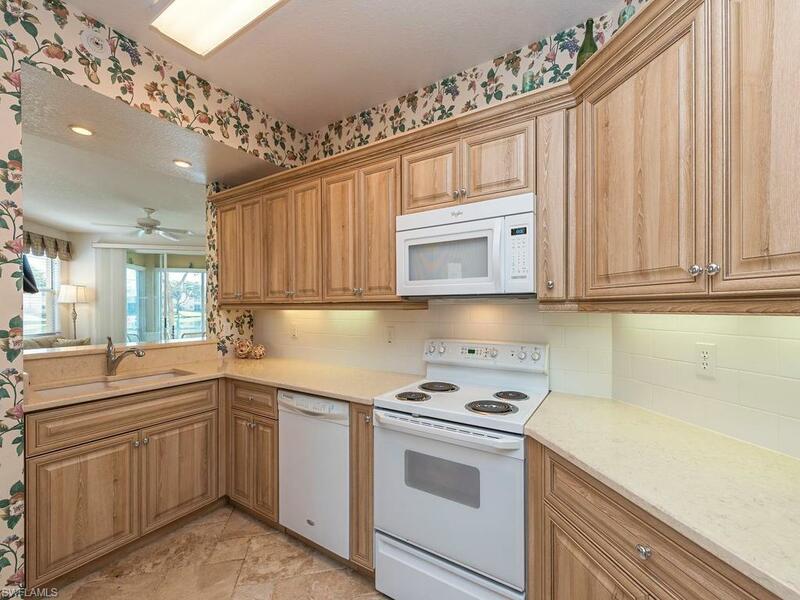 Gorgeous newly remodeled gourmet kitchen, quartz counter-tops with extra cabinets. The large master suite has a walk-in closet and newly remodeled shower. The Stone Floors are a must see. 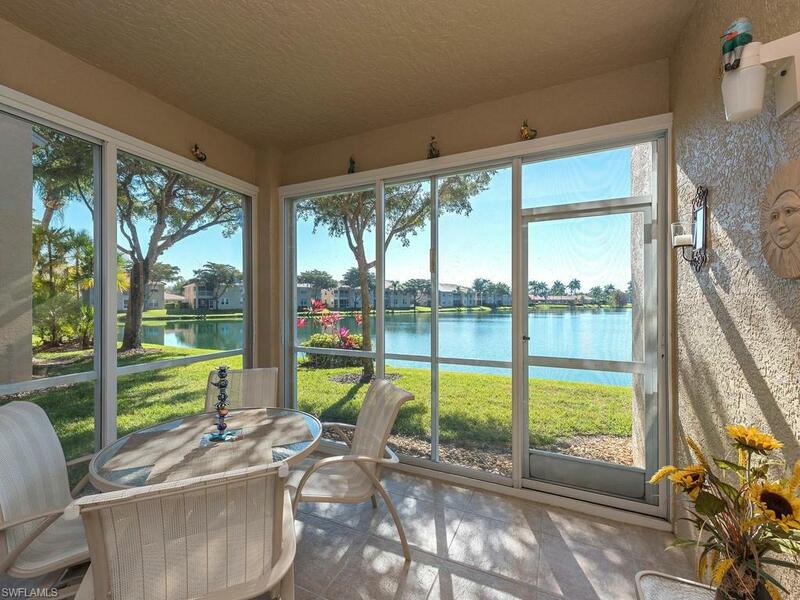 Enjoy the lake views while relaxing on the hurricane window enclosed lanai. This SPECTACULAR condo is 1,378 Sq. 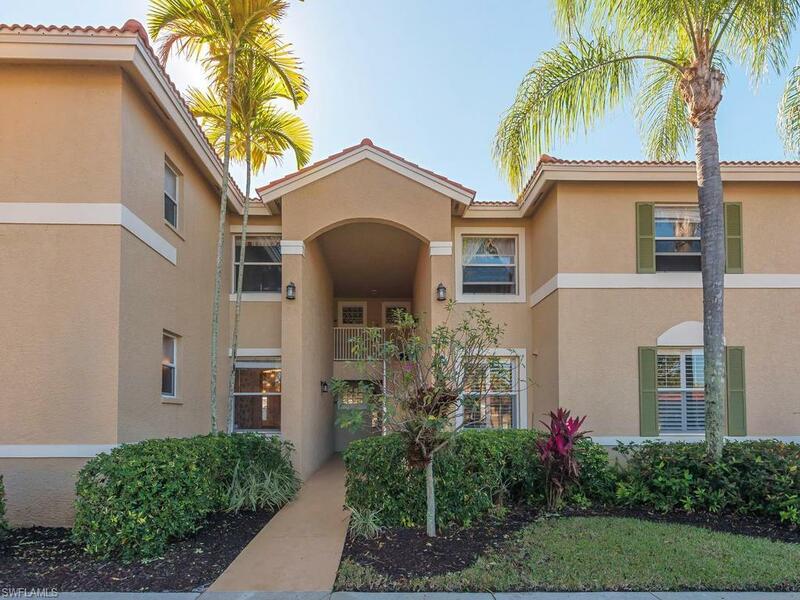 Ft under Air Conditioning, Enclosed Lanai 127 Sq Ft. and the detached 1 car garage is 237 Sq Ft for a total of 1,742 Square Feet all of this in beautiful North Naples. The gated community of Huntington Lakes offers three heated pools, including a resort-style pool with spa/hot tub, professional bocce and tennis courts and a full-time activities director. Shopping, restaurants are nearby and stunning Gulf of Mexico beaches are within 6 miles. All it takes is one look and you will fall in love with the community and this wonderful condo.